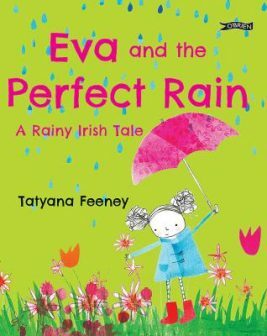 Eva wakes up to find that it’s raining – again! She is thrilled because she can’t wait to use her new umbrella but after breakfast the rain is too soft for an umbrella. The rain is lovely but it’s just not perfect umbrella rain!